Doughnuts, Blueberries and Peach Shakes, Oh My! So glad we were off today. We needed the rest. It was another hot one and it’s after 8:00 pm and still 87. Still no rain here in Oak Grove. Hard to grasp that it is already June. The past year has been something. We feel like we have begun figuring out life with a new normalcy but are still adjusting and sometimes things still just hit us unexpectedly. We have really felt and appreciate all your prayers. Happy National Doughnut Day! 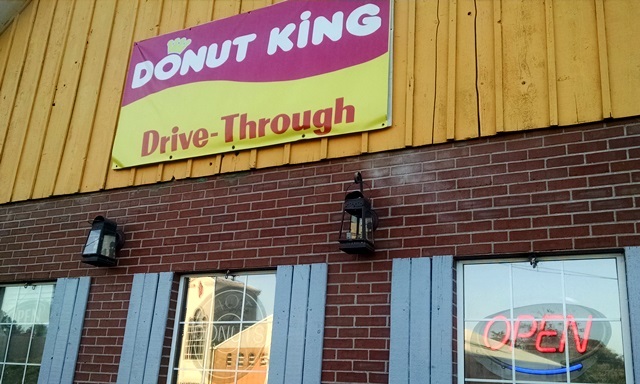 Of course we went across the street to Doughnut King to purchase some doughnuts and fritters for breakfast. Everything was good and the glazed doughnut holes were pretty awesome. However, Sonny’s in Gaffney, SC is still in first place for the best doughnut shop. 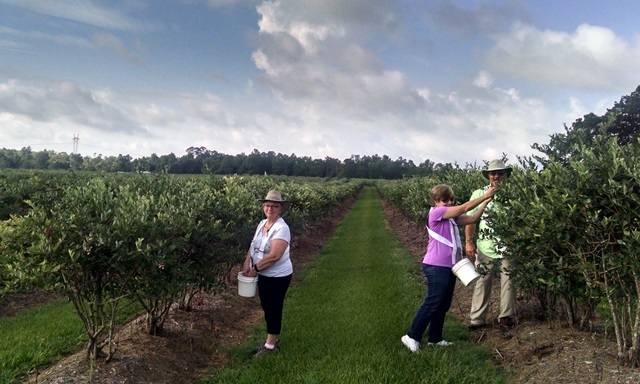 It is blueberry season here in southern Mississippi and this morning we went with Dave and Carol to a local U-pick blueberry farm. It’s only about 5 minutes from the church. It’s a pretty big operation. 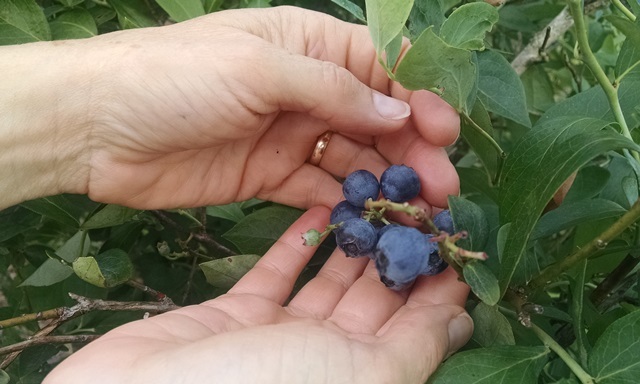 They have blueberry bushes as far as you can see. Really good berries! We picked about a gallon and have been munching on them all afternoon. We have three nice blueberry bushes at home but aren’t scheduled to be home when they should be ready so we will enjoy these. 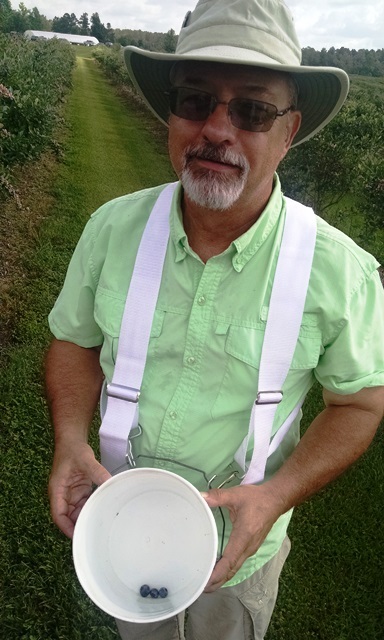 If we get to pick those at home we will get to make jelly. We like to keep some good blueberry jelly to give as gifts. After doughnuts and blueberries it was time to get the laundry done. It takes lots of clothes when it is this hot. Later we walked across the street to the produce stand for tomatoes and corn. Love good local produce. The corn was picked fresh this morning. Then we made a trip to Sam’s for water and Gatorade for next week. Also a stop at Walmart for milk and bananas. But before those two stops we went to Lowe’s to browse. No major purchases. Just a contour guide we had been intending to buy for a while. We were going to go to Chick-Fil-A since the peach shakes are back but you couldn’t get in the parking lot when we were there. Later this afternoon Dave and Carol were there and brought us a shake. Thanks Dave and Carol. We really enjoy peach shakes.! Guess this day was all about the food. Good day! Have a great weekend and stay safe. 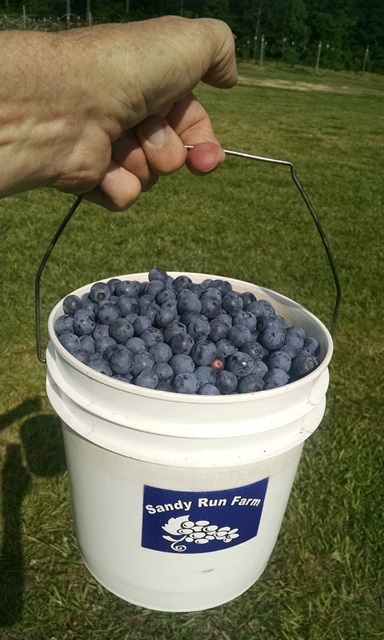 I see that most of the blueberries must have been eaten and only 3 made the bucket!